This Lithograph from Samuel A. Kilbourne is definitely an extraordinary piece. 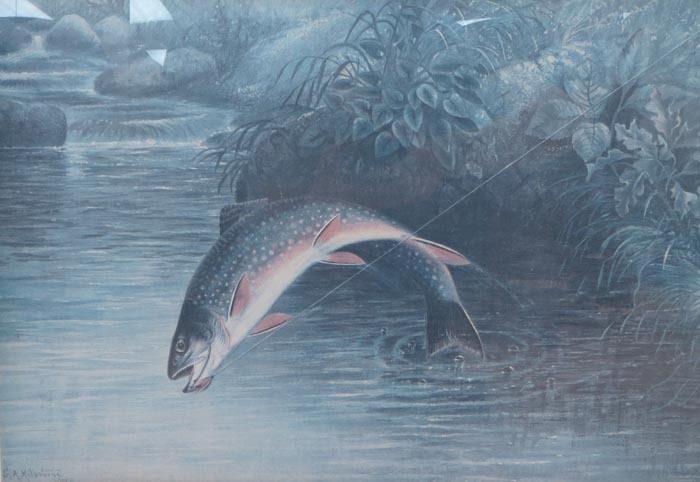 It depicts a brook trout leaping out of the water trying to shake a fly. This piece was first done in 1890 and has since been duplicated. This copy comes matted in a frame which measures 20" x 26".